Gamla wines are premium, quality aged varietal wines which are fruit forward and expressive. They are produced with the same care and attention to quality as Yarden wines. "Gamla" is the name of an ancient Israeli town on the Golan, which withstood the conquering Romans for a number of years. Recent excavations represented by the coin on the label, tell an exciting and heroic story. The 2017 Gilgal Riesling displays attractive floral and spice notes, along with pleasing characters of lemon, green apple, nashi pear and tropical fruits. With a hint of sweetness, this medium-bodied wine is flavorful and refreshing. 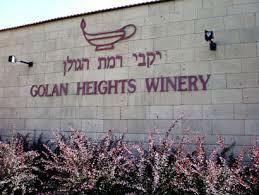 The 2016 Gilgal Riesling is produced entirely from Riesling grapes grown in two vineyards located on the cool northern Golan Heights. Slow cold fermentation contributes to the making of this refreshing wine that expresses its distinct varietal character. The Sion Creek Red shows off a great combination of characters: strawberry, rasperry, floral and spice. The wine's lighter body and attractive fruit notes make it a great everyday drinking red.
" The 2014 Gilgal White Riesling presents appealing floral, citrus, spice and melon notes with subtle pine and lime peel characters. With a hint of residual sweetness, this medium-bodied wine is fresh and drinkable. Gilgal White Riesling is best consumed within a couple of years of vintage.